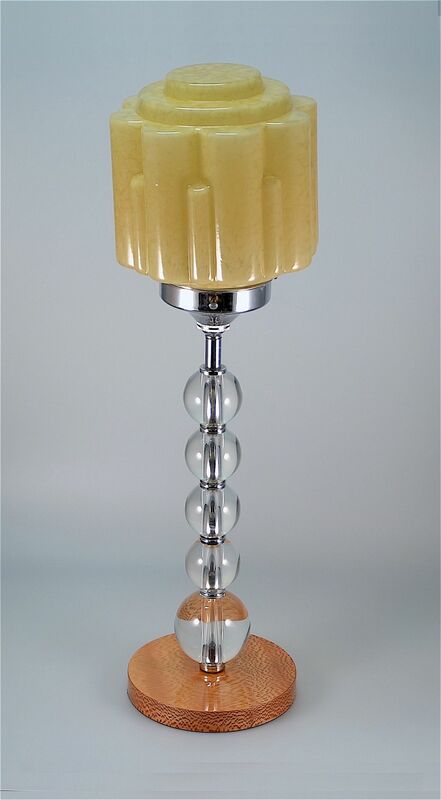 This super lamp was made during the Art Deco period probably in France. It has a round polished wood base supporting a central stem of 4 glass spheres around a central chrome column beneath a chrome gallery. The lamp had a mottled amber octagonal shade That is held in place with chrome screw fitments.